One of the terms that people who visit the dentist hate to hear is “root canal.” While it is certainly true that this procedure has a bad reputation among patients, they are often necessary. 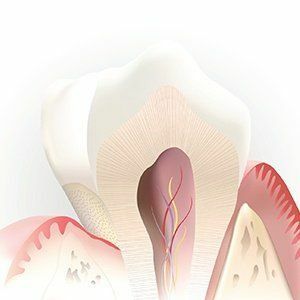 There are a number of benefits to root canals that other types of dental treatment are unable to provide. To get a better idea of what the benefits of root canals are, you will want to have an understanding of the process of root canals in the first place. With this type of therapy, the dentist removes bacterial infections that have entered the pulp or the nerve chamber of the tooth. If you have large fillings, trauma to the tooth, a chipped tooth, or deep decay, you may find that you need root canal therapy. One of the biggest benefits of root canals is the fact that it will remove the infection, which has the potential to be dangerous. If you choose to ignore painful symptoms, the infection can work its way into your bone. It can cause an abscess and an infection of the bone. Some people might believe it is easier to simply remove the tooth. While extraction is possible in many cases, it isn’t often the best option. It means you no longer have the tooth, which can lead to a number of other dental issues, including shifting teeth. 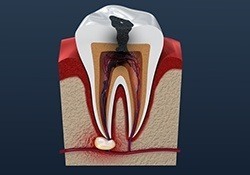 The root canal will allow you to save the tooth. Is a Root Canal All You Need? Root canal therapy completed by the dentists in New Lenox is just the first step of getting your tooth back in order. This will clean out the infection. However, you still need to make sure the tooth is in a functional state. This often means getting a crown added to the tooth.